Kranich's Jeweler's, made in the U.S.A., Stunning, Vintage Style Filigree Diamond Rings Offer the Antique Elegance of a Cherished Heirloom. 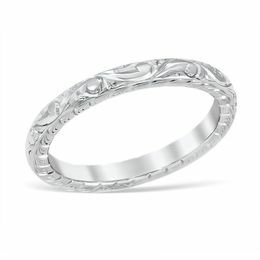 Do You Admire the Delicate Swirls and Lace of a Filigree Diamond Ring? Have you always been drawn to the Vintage Heirloom Style in Diamond Rings? Well here they are! These gorgeous filigree diamond rings are created with the utmost attention to quality and detail. Die-struck designer bands, mounts and settings are crafted of recycled platinum and gold for enduring strength and beauty. These Beautiful Vintage Style Engagement Rings are Die-Struck out of Recycled Platinum and Recycled Gold. 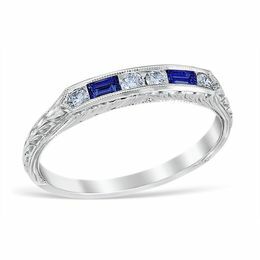 The stunning nostalgic diamond rings are made entirely in the United States of America. All diamonds are hand set into each ring by an expert jeweler and the diamond is mounted to optimize the brilliance and sparkle no matter how large or small your diamond is. 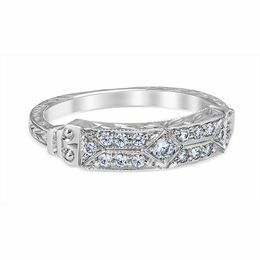 Vintage Style Filigree Diamond Ring Designs are shaped of gorgeous scroll-work, symmetrical Art-Deco style design, lacy flourishes and other enchanting motifs. 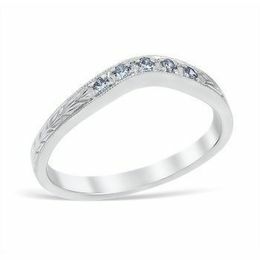 A delicate embellishment in which fine, threads of precious metal are twisted or curled into a lacey design to create dazzling bands to enhance sparkling diamonds. Filigree designs are as old as jewelry creation, filigree style jewelry has been unearthed in ancient digs as old as 5000 years. A strong part of jewelry history for over a millennium, filigree jewelry remains enchanting and popular today. 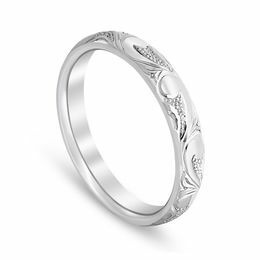 Filigree looks to be hand carved, but it is actually die-struck when crafted into these stunning bands and settings. Die-Struck Vintage Style Diamond Ring Designs are Highly Detailed, of Strong Precious Metal that Takes a High Polish and Keeps its Shine. Die-struck jewelry is formed by striking gold, silver or platinum in a die that compresses the molecules. Forcing the metal into every crevice of the die results in highly detailed, strengthened precious metal jewelry that easily takes, and keeps, a high polish. This process produces superb quality mountings that hold up very well over the years. The die-struck method is why the lacey filigree style diamond rings are also known as heirlooms, they have been passed through the generations and maintain their beauty and detail. Investment in a Beautiful, Die-Struck, Vintage Filigree Diamond Engagement Rings is a Loving, Enduring Investment in your Future. Some vintage filigree dies still being used by artisan jewelers today date back to the early 19th century, proving the strength and endurance of the die-struck technique of jewelry making. Molds and models can be made from the dies, allowing rings of similar style to be cast. While resembling the die struck originals, a cast ring may not wear as well. So, investment in one of the beautiful die-struck Vintage Filigree Diamond Engagement Rings here at Kranich's Jewelers is a loving, enduring investment in your future and the future of your family. Antique Style, Lacey Scroll Work, Glittering Diamonds, Irresistible Filigree Jewelry. All the above describe the lovely Vintage Filigree Diamond Ring Collection at Kranich's Jewelers. Every diamond size can be set in one of our stunning vintage mounts. If you have a small diamond, large diamond, are upgrading a setting, or resetting an inherited diamond, you will present that diamond in maximum sparkle and quality craftsmanship with the enchanting Vintage Filigree Diamond Ring selections available at Kranich's Jewelers. Die-Struck Craftsmanship is Strong, Accepts a High Polish and Holds that Polished Gleam Longer. Explore the Beauty and Unique Quality of our Die-Struck Vintage Diamond Engagement Ring Collection. The lacey scrollwork, the stunning detail along with the lasting polish and shine of the antique styles are sure to be cherished well into the future of your loved ones. See the Enchanting Vintage Filigree Diamond Ring and Wedding Band Collections in Altoona, Johnstown, or State College PA!